Rotherham Council is close to concluding a multimillion pound deal to dispose of the remaining unit it funded on the Advanced Manufacturing Park (AMP). Commissioner Julie Kenny has made the "minded to" decision to allow the Council to negotiate and conclude the sale of Unit 4 of the popular R-evolution development. In February, council papers show that an offer had been received for the 22,000 sq ft unit from the University of Sheffield. 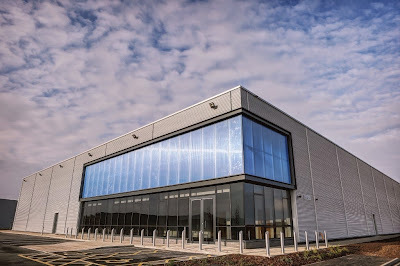 The University's Advanced Manufacturing Research Centre (AMRC) with Boeing already employs over 250 people on the AMP in a series of world class facilities focused on advanced machining and materials research for aerospace and other high-value manufacturing sectors. In March 2014, landowners and developers, Harworth Estates, signed a £4.3m forward-purchase agreement with Rotherham Council for Plots 3 and 4 of the R-evolution development on the Waverley site. Rotherham Council was able to borrow money to fund the purchase as it can borrow capital at low levels of interest from the Public Works Loan Board. The deal would see the council purchase the development on practical completion and the authority anticipated that the whole project would be cost neutral or generate an overall surplus on realisation of the asset. Last year, the Council sold the 30,000 sq ft Unit 3 to X-Cel Superturn (GB) Limited for £2.75m as the global manufacturer of machined components expanded from its 10,000 sq ft facility at the Evolution development on the AMP. Harworth is expected to bring forward three further industrial units on five acres of the 68 acres that remain to be developed for employment use at Waverley, followed by a further 21 acres for "AMPlify" – a new phase of employment development to meet the strong demand for space.